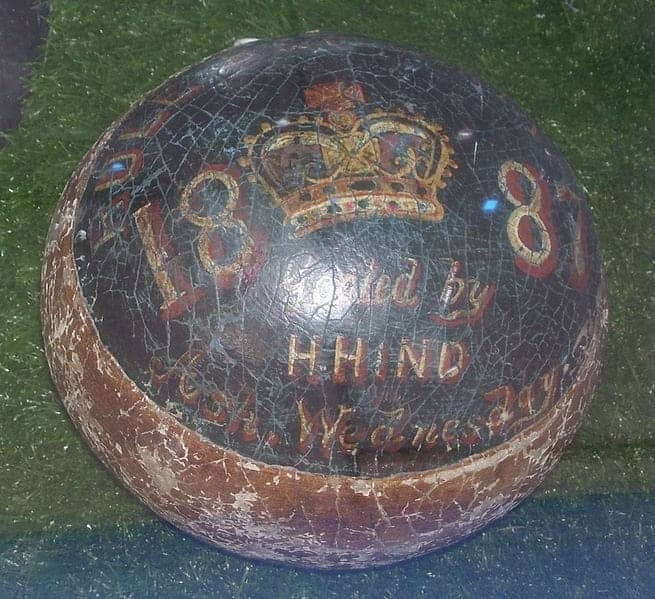 The Royal Shrovetide Football Match is a game played annually on Shrove Tuesday and Ash Wednesday between the Up'Ards born north of the river Henmore in Ashbourne and the Down'Ards born south. The goals are situated on the river bank at the site of two former mills, three miles apart. To score, the ball must be tapped three times against a millstone built into the stone pillars. The town is covered in flags and bunting to celebrate the two days of play. The Ashbourne game also known as hugball has been played from at least 1667 and is therefore one of the UK's oldest sporting traditions.